You are 1 day away from leaving town for an urgent business trip. 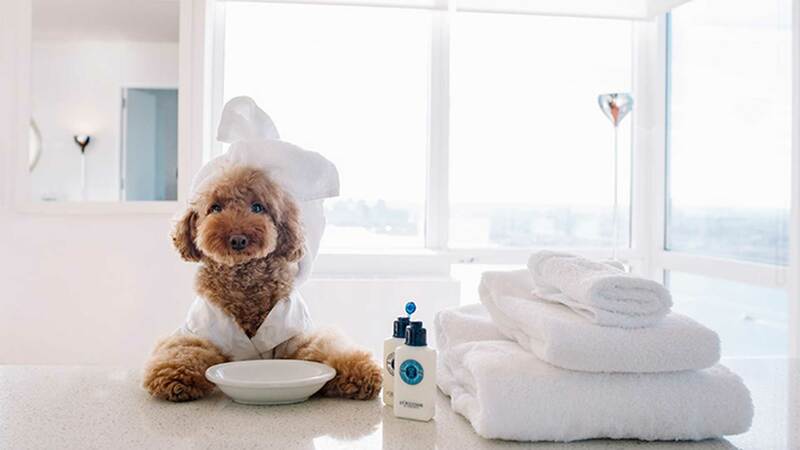 You pack your bags, get ready to take your trusty partner, and……… you suddenly realize that the hotel that your boss has booked is not pet-friendly. 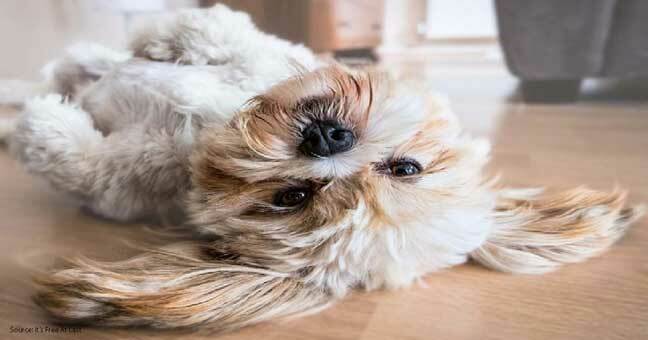 In these situations, most pet owners would suggest you try two methods. Either you get a pet sitter for the week, or board your pet in a pet boarding facility near you. Contrary to popular opinion, the terms pet sitting and pet boarding are definitely not the same. I have seen many people use this term synonymously- but that is indeed wrong and both terms are in fact two completely different methods. To those who do not know, pet sitting is when a pet sitter goes to someone’s house in order to take care of their pet- just like babysitting. On the other hand, pet boarding is sending your pet to someone’s property/facility for them to watch over your pet. 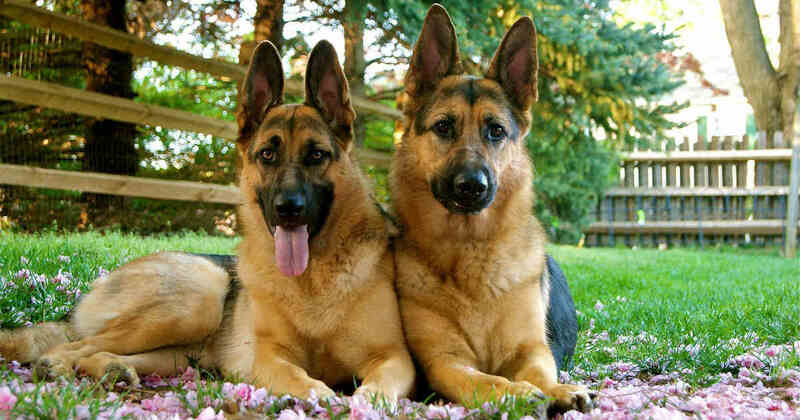 Both are popular methods when pet parents need someone to watch over their pets while they are not around. 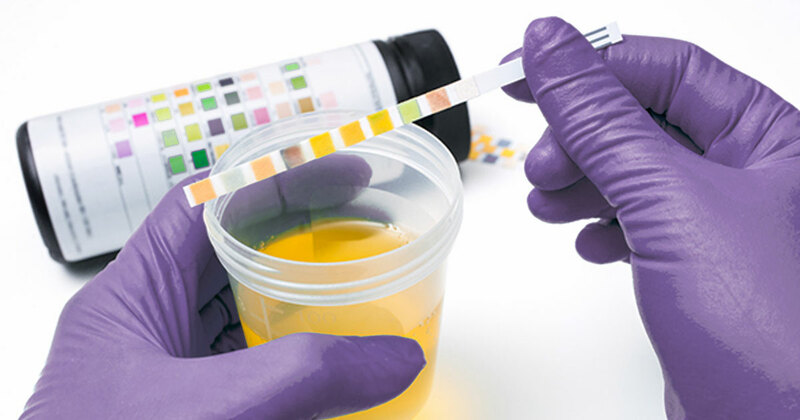 However, which one of the two methods is more suited for you and your dog’s needs? Are you looking to save money? Are you looking for the best service for your pets, or perhaps planning to treat it like a king so that it wouldn’t have to worry about you going away? Your choice will depend on these factors. After 5 years of experience with both, I will share the differences between them and give a little bit more insight into the comparison behind both pet sitting and pet boarding. From there, perhaps that you could gain a lot more insight into the topic and make the correct decision when the time comes. As mentioned earlier in the article, pet sitting is when a pet sitter comes over to their client’s place to take care of their dog- just like a babysitter would. This may be just for a day, or the pet sitter could stay for a few nights to watch over your pet. I am going to start off with the pros of pet sitting compared to pet boarding. 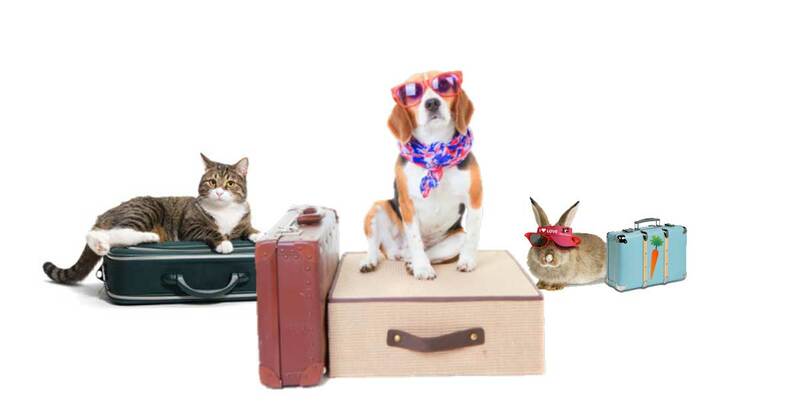 Firstly, your pet will obviously be the main focus of the pet-sitter. I am not saying that pet boarding does not pay attention to your pet, I am just saying that pet-boarders/boarding facilities usually take in several other pets as well- and they all require attention. Pet sitters will spend some time playing and interacting with your pet, which might concur extra charges when requested for at a pet boarding facility. Another notable pro that I can think of is the fact that your pet does not have to adjust to a new environment. 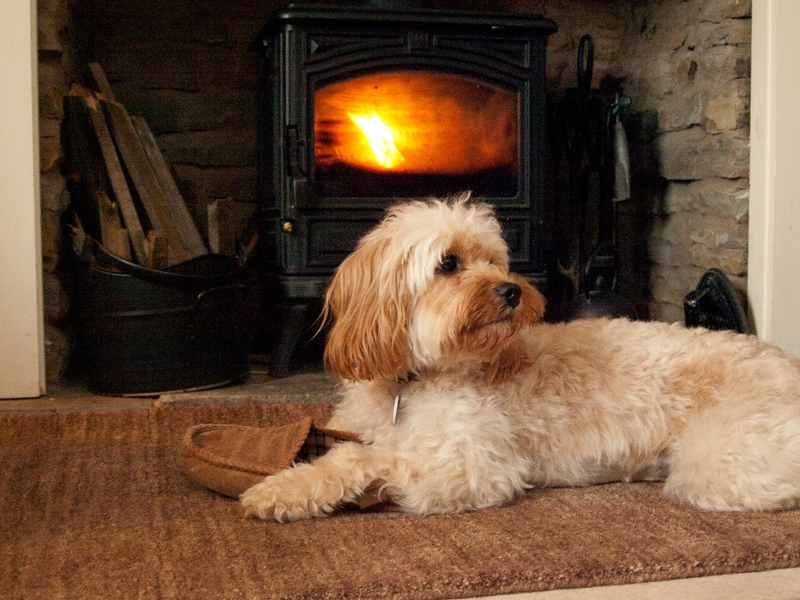 In the comfort of its own home, Your pet will have all its favourite foods, toys, blankets and so on. A sudden change of environment and strangers taking care of your pet may be a very stressful factor for your dog to get adjusted to. Let us put ourselves in our pet’s shoes. If your house and your family members were to suddenly change overnight- wouldn’t you be freaked out/stressed? This is how a pet will feel whenever it has to adjust to a new environment- especially a boarding facility. Being at home, your pets also run less risk of catching outside diseases from factors such as environment or other animals. 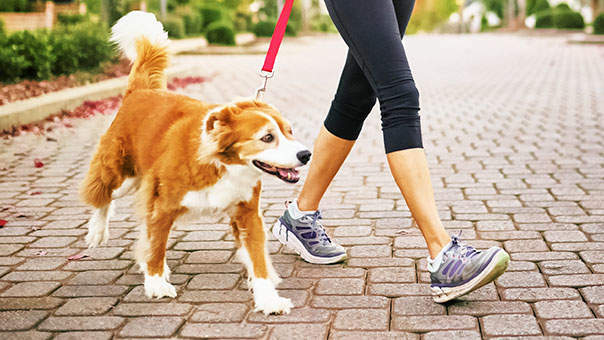 If you are worried, you can always give your pet sitter instructions on where to walk the pet, who to interact with and other relevant instructions. With pet boarding, you cannot dictate how the staff take care of your pet- most decisions (besides food) are up to them. The last pro that I could think of is the fact that you do not leave your house alone while you are away. Having a pet sitter around the house will at least ensure that someone will be watching over your house and that he/she can alert you immediately if anything goes wrong or if there is an emergency. 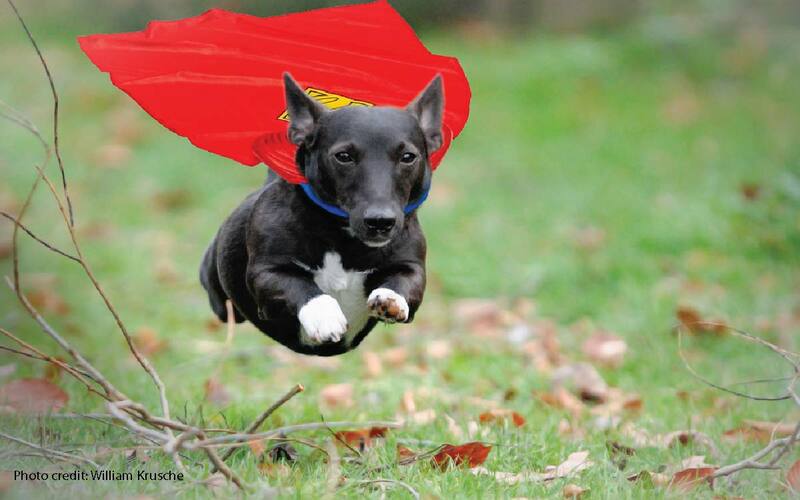 Emergencies could be pet related, or something could go wrong in the house- robbery, power issues etc. Obviously the good will only come with the bad. Here are the cons of pet sitting compared to pet boarding. The most notable turn off when it comes to pet sitting is usually the high prices being charged. This is understandable as pet sitting is a personal service, unlike boarding your pet, which is often times significantly cheaper. Just like any other service, a 1 on 1 session will definitely be more expensive than a group session. Another con would depend on your pet itself. If your pet is not comfortable in the house around strangers- life is going to be difficult for both your pet and the pet sitter. Although your pet is in a friendly environment, leaving it alone with a stranger for too long is sure to cause alarm within a pet’s mind. But then again, this would still be an issue if you do decide to send it to pet boarding. So yes, this con is unavoidable in most cases. Either way, do your research. This goes without saying, but I couldn’t emphasize enough on the importance of getting a professional and trustworthy pet sitter to do the job. Please do not hire any pet sitter simply because he/she is charging peanuts for fees. Do some research on the background of the pet sitter before you jump to a decision. Leave no room for doubt when you make your decision. If you are not 100% comfortable with your choice, what makes you think that your pets will be comfortable with your decision? Another important thing to note is the instructions you give to the pet sitter. It is especially important that you thoroughly explain your instructions to your pet sitter. Make sure that he understands all of your instructions and to abide by them. Instructions to give your pet sitter could include but is not limited to: What types of food to feed, health conditions of the pet and how to deal with it, call me if a particular thing happens, take it out for a walk 3 times a day at specific times, and so on. Just to be sure, write it down or text him/her the instructions for his/her reference- no excuse to conveniently ‘forget’ then. My point stated above comes from a personal experience of mine. Back in my college days, I needed to go to France for 5 days. I decided to go for a cheap pet sitter and hired a friend from public speaking class. I trusted him too much with the task and provided only the bare minimum of instructions. Why? Because as I thought he was up for the task and had previous experience with dealing with pets. I can look back at it now and safely say that it was the worst decision that I have made in my entire life. According to neighbours, the guy showed up like twice a day, had not been seen walking my dog even once, and even had his friends come up to my house for a party that disturbed the entire neighbourhood! When I came back 5 days later- my god. It was a literal war zone, with the party music still blasting through and 6 random people + my ‘pet-sitter’ unconscious on my floor. The entire place reeked of alcohol and dog waste. As I looked around the house, I spotted my poor dog huddled up in a corner due to the intensity of the party that the ‘pet sitter’ was holding in my house. When I demanded an explanation from him, he said that I ‘didn’t give him any instructions’ and that he only expected me back 2 days later. Ever since, I was always cautious with who I booked for pet sitting. I have never booked a suspiciously cheap pet sitter again. Pet or dog boarding is when you send your pet to a facility/house where specialized professionals will take care of your pet alongside other animal tenants. This choice is usually cheaper compared to hiring a personal pet sitter, but at the same time, it comes around with a variety of flaws. There are two types of pet boarding- house boarding and facility boarding (vet office/pet hotel). They both involve sending your pet to live with caretakers, but how they operate is totally different and both come with their own pros and cons. 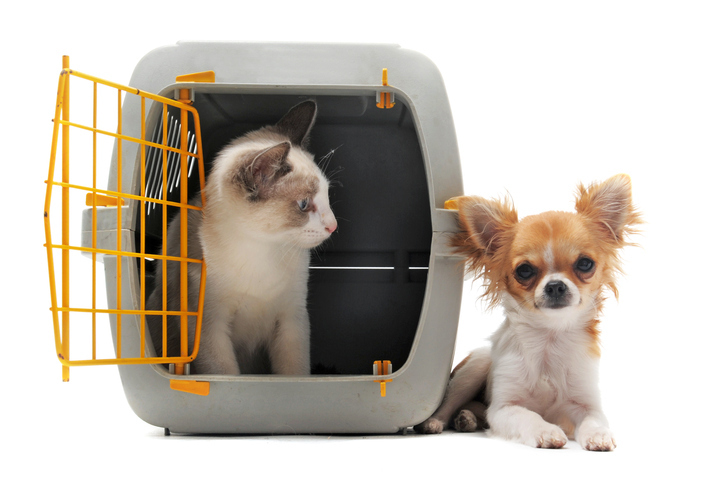 Firstly, let us talk about the pros of facility pet boarding compared to pet sitting. To start with, pet boarding is usually (this may vary) a much cheaper alternative compared to pet sitting. The reason why this is the case is because pet boarding is not exactly a very personal service. You do not have much say in your pet’s routine as all guests in the boarding facility follow the same established routine for the convenience of the facility. Another pro for pet boarding is that your pet gets to socialize with other pets. 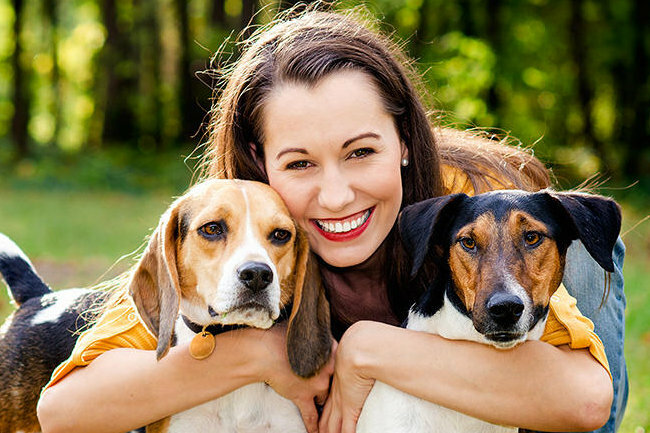 Rather than letting your pet stay at home with just your pet sitter for company, it can mix around with other pets and gain some precious social time while you are away. One pro to take note of is that the people that you are dealing with will most definitely be a qualified professional. The people that run/work in these pet boarding facilities usually are qualified professionals who have gone through years of training before being accepted in the facility. 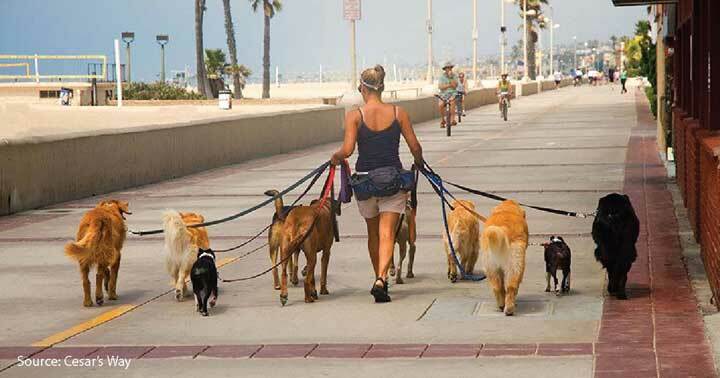 Unfortunately, that is where the pros end for facility pet boarding compared to pet sitting. Now, the cons of facility boarding compared to pet sitting. The first con that I will be talking about relates to how your pet mixes with other pets. Sometimes, there is a possible risk for your pet to catch outside infections/diseases from other pets. It is not so common, but the chances are definitely so much higher than if you would hire a normal pet sitter to come to your place. A much more notable con than the one stated above is the stress you put your pet through. Many pet parents fail to realize this, but a pet will most likely go through a lot of stress when suddenly thrown into a new environment to live in. I will give you an example to relate to. Imagine that one day, you wake up somewhere else in the world. You are surrounded by some ‘family members’ that you have not seen in your life, and your ‘house’ is now smaller and is split between several roommates. The shock and confusion that a person would go through in that situation will be very similar to how a dog feels every time it switches owners or home. Isn’t that stressful? 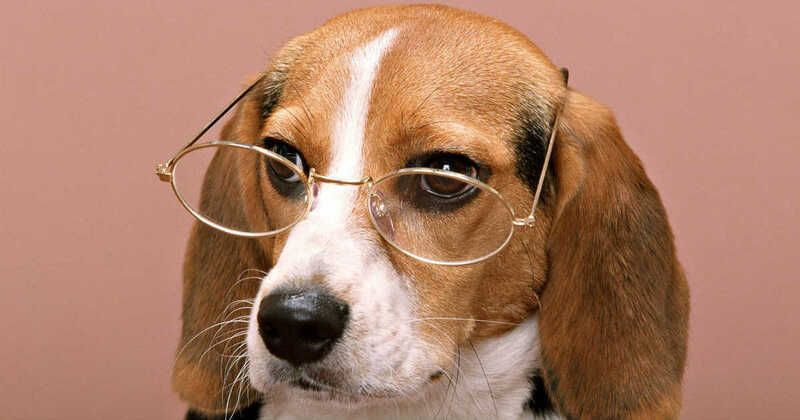 Another con that comes to mind when it comes to pet boarding is that none of the pets will receive special/prioritized treatment over other pets unless you pay extra money for that. In that case, you really should just hire a pet sitter instead- slightly more expensive but your pet will not have to go through the stress of adaptation. How about house boarding? How is it different from facility boarding and what are its pros and cons compared to it? House boarding paints a completely different picture compared to facility boarding. The caretakers may not always be professionals, but they are indeed more likely to work out of passion rather than for commercial reasons. Of course, house boarding is a little bit more expensive compared to facility boarding, but it provides so much more benefits compared to the latter. Most house boarding facilities will only accept a few pets at a time, so your pets will not have to worry about being left alone. They will be able to socialize while still receiving the attention that they require. Obviously, another side benefit of this is that your pet has an even less chance of catching any diseases as there are fewer pets than a normal kennel/facility. Another benefit that comes with house boarding is the fact that the service is a little bit more customizable than a boarding service. A house boarding caretaker will be more likely to take specific requests over any normal facility- which will either charge you extra or flat out refuse your request. The only real drawback of house boarding compared to facility boarding could be the price. As I said before though, money is nothing compared to your pet's well being. In fact, some treat house pet boarding as a passion project rather than a job, and may charge lower rates for superior service! Keep your eye out! Now, one could argue that another possible drawback could be the possibility of a pet running off due to the negligence of certain caretakers. However, that is extremely rare (I personally only heard of such a case once) and most pets will be safe in a home environment. Honestly, house boarding is a much better alternative than facility boarding. As mentioned above, the house will provide a more ‘homey’ feel for the pet- thus making it slightly easier to adjust. As mentioned, most pet boarding facilities (This may sometimes apply to house boarding as well) will have health requirements. Most pet boarding facilities will require pets to be healthy, deflead, well kept and vaccinated. You might need to provide some documentation/proof of these vaccinations in order for the pet boarding facility to accept your pet. 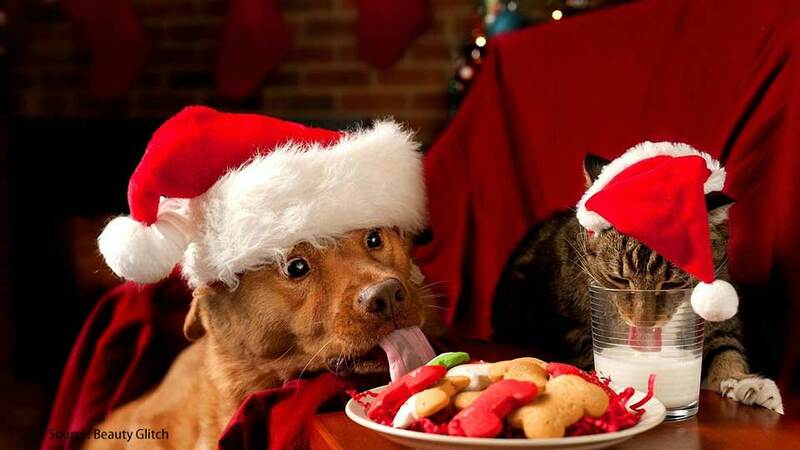 Most pet boarding facilities will also require you to bring your own food for your pet as they do not want to risk feeding foods that your pet cannot consume. When it comes to house boarding, there is definitely less risk. However, don't just simply chuck your poor pet into some random caretaker's house because it is cheap. Like everything else, research is fundamental when it comes to making your decision. Before boarding your pet into someone's house, make sure that you get to know the person first. Is he/she the kind of person that will be will be willing to go the distance for the sake of your pet, such as letting your pet sleep on his/her bed when they are scared? Make sure that the person is trustworthy and will give his all to be there for the pets 24/7. If possible, give a person's house a visit in order to see the environment for yourself. Will it be suitable for your pet? Is there enough outdoor/indoor space for your pet to roam in? Another thing to note is the other guests staying at the pet boarder's house. What types of animals does he/she accept on a daily basis? Just to be safe, I seriously recommend that you choose someone who only takes care of a maximum of 4 pets at a time. Anymore than that, and I guarantee that you will find that place having the same problems as facility boarding. For a more detailed insight on this topic, please read our comparison between Commercial and Home Boarding. My main issue with pet boarding in facilities is that it doesn’t feel….. comfortable for the pets. From my experience working in one, pet boarding facilities will take in multiple pets from different owners. Because of that, it was honestly very difficult to attend to each pet personally. 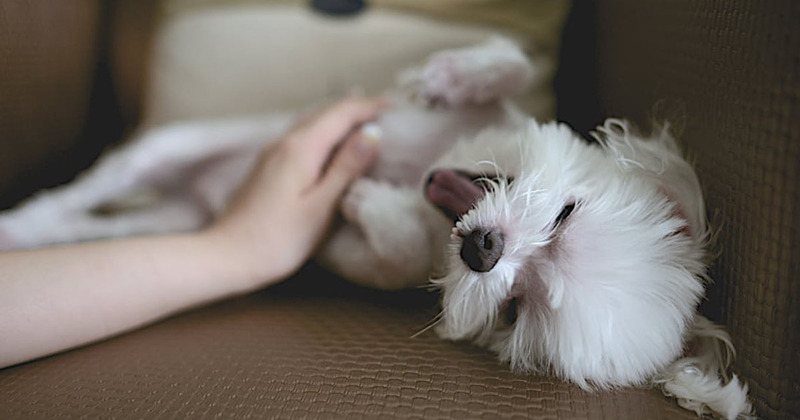 Some pets (usually dogs) will require extra attention to make them happy, but the boarding policy at the time was to treat every pet equally unless the owner paid for extra treatment. As a result, this led to several pets who were depressed. They craved for the attention that their owner gave them but I could not give it to them. Many pets refused to eat or participate in any activity that we provided. I could even hear a few pets whimpering on occasions. Needless to say, working at a pet boarding facility wasn't a very good experience. Besides the risk shared above, there could also be unpreventable involving pet boarding facilities. One such example that I can remember took place in Arizona, 2014, where one dog allegedly chewed on a certain air conditioning wire, leaving the air con to go out in a stuffy room and causing the deaths of many dogs due to heat exhaustion. 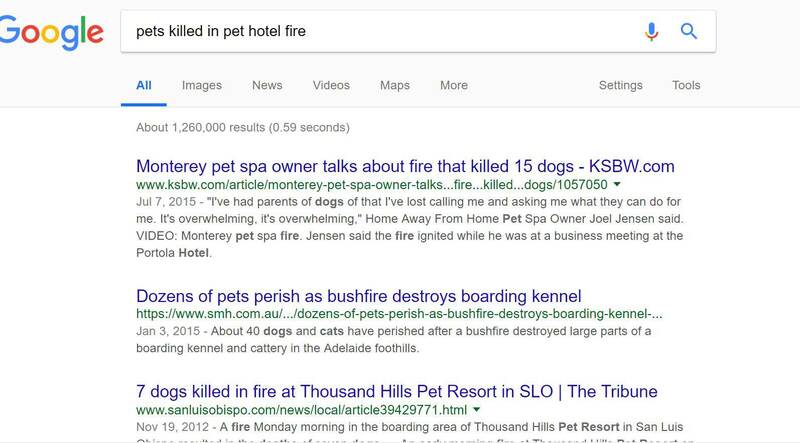 There are so many more real-life horror stories when it comes to pet hotel/facility boarding and anything could go wrong. Luckily for me, nothing too serious happened during my time working in one, but I know a lot of stories ranging from fires, robberies- even dogs attacking other pets! And from here, the list goes on and on and on. An absolute pity. Well, that video speaks for itself. It's just...... horrifying and heartbreaking. No pet should ever go through this, ever. Would you allow this to happen to your pet? Thankfully, house boarding is a major improvement from your usual pet hotel/vet. I felt so much happier doing this and the pets I took care of enjoyed themselves a lot more too. I will only take in 3 pets in my house at any given time, and gave them the sufficient love and attention that they needed. There was still a schedule that I stuck with, but I managed to cater to every pet’s individual needs. If they needed comfort, extra toys or anything for that matter- I was aware and I was ready. I treated these 2-3 pets that I brought in everyday as if there were my own fur-babies, and showered them with all the love in the world. It does not feel as commercial as a facility, this is real love given from a pet lover to pets under his care- at least it was for me and many other house boarders that I know of. Like I said, there is also more of a free hand when it comes to house boarding. Besides the fact that it is possible to pass on certain instructions to the caretaker (not as much as pet sitting but certainly a lot more than facility boarding), it is also possible to enquire about the guests currently staying with the caretaker. 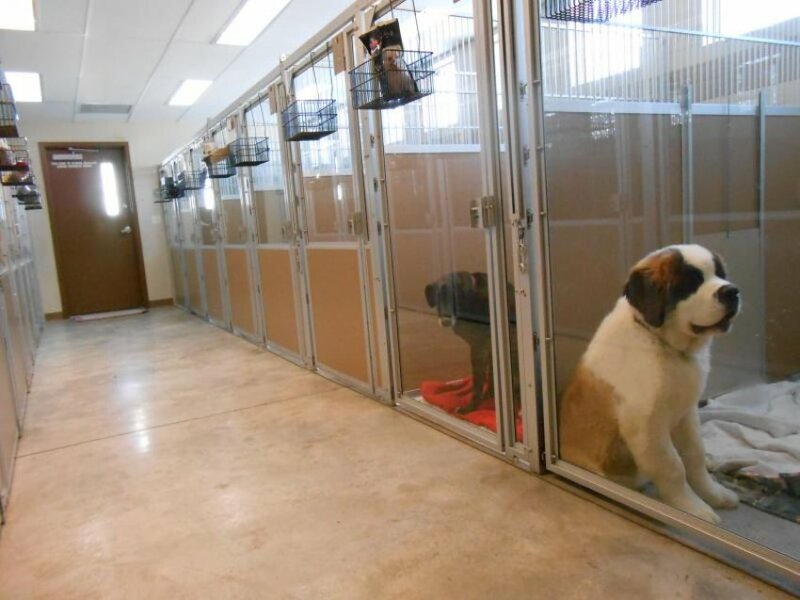 This way, you get to choose a safe house for your pet to be with and avoid the ones with bigger and more dangerous pets that could spell trouble. Besides house boarding, pet sitting is also a very good alternative if you would prefer your pet to stay at home. Most pet sitting jobs that I took only involved one pet and I always received clear instructions from the owners on how to care for them. It was honestly much easier to focus on one pet as a pet sitter compared to being split apart by several pets in a pet boarding facility. It felt a little bit more special, and the job was always up to standard as all I had to do was follow the instructions of the owners and report to them occasionally via message. I have to emphasize the need to hire a reliable pet sitter though. Besides my horror story shared above, there are many more cases where unsuspecting parents may hire undesirable pet sitters- or sometimes even cases of robbers under the guise of a pet sitter who stole their stuff and ran away. It is very important to find pet sitters that either own a license, owned a pet before, or is someone that you really trust. Luckily for us, PetBacker is a reliable service that verifies and finds the best pet sitters and home pet boarders near you. At PetBacker, they will only accept passionate pet sitters and pet boarders who follow their 4H policy when it comes to taking care of pets. The 4H policy stands for Happiness, Health, Hygiene and Homeliness. Only the best of the best who share these ideals with them will be accepted as their partners on the platform. 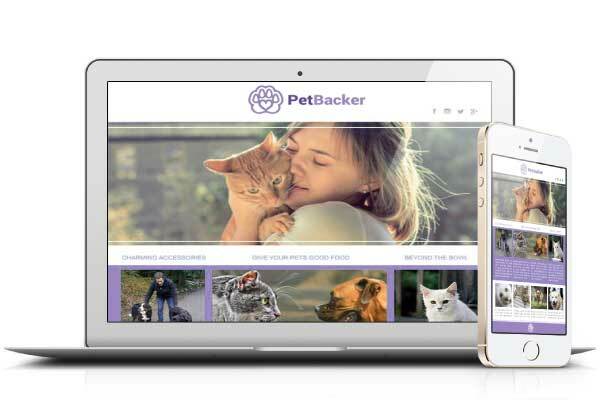 Even before they accept them, PetBacker will run through several background checks and verification on the registered person before offering their services to the community. To find out more, check out what the community is saying about the PetBacker platform! 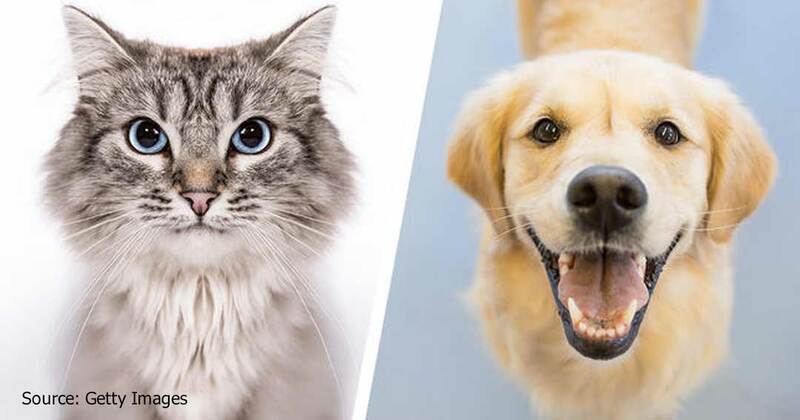 Next Article First time owners: dogs or cats?